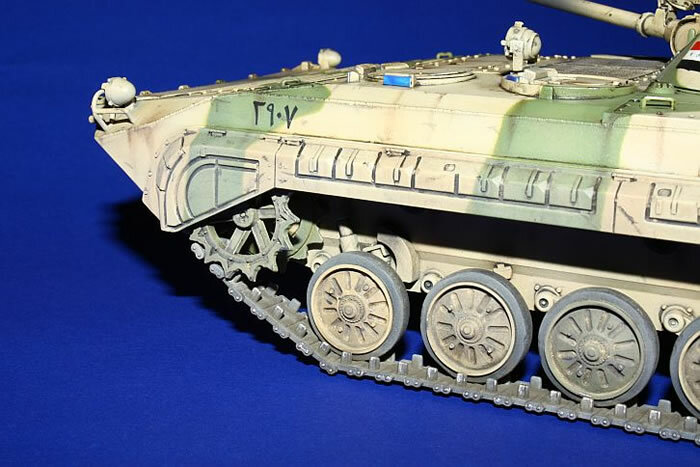 Here are some photos of my first military vehicle model. 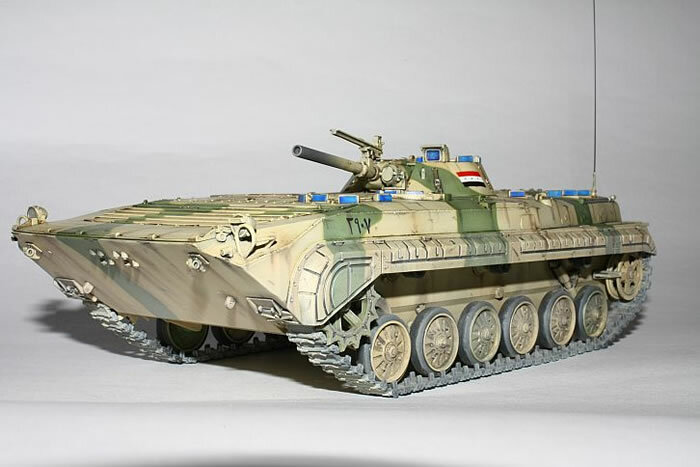 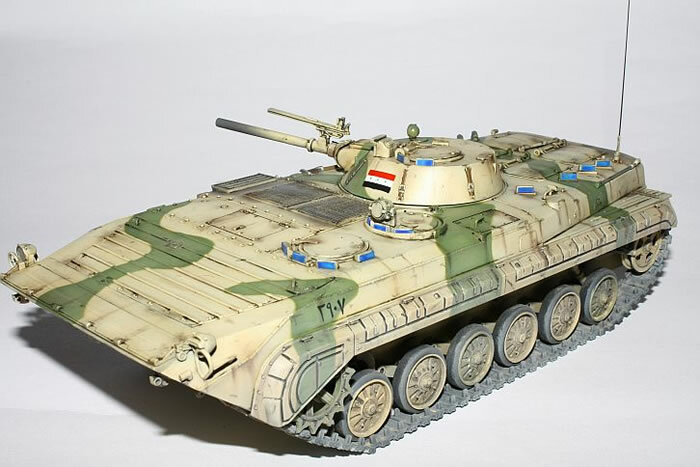 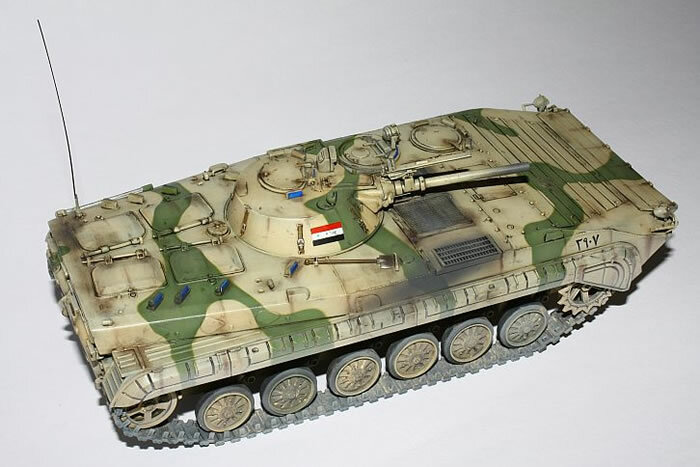 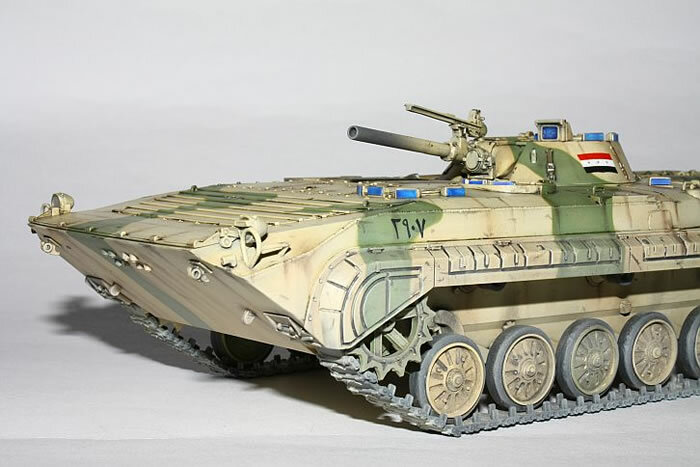 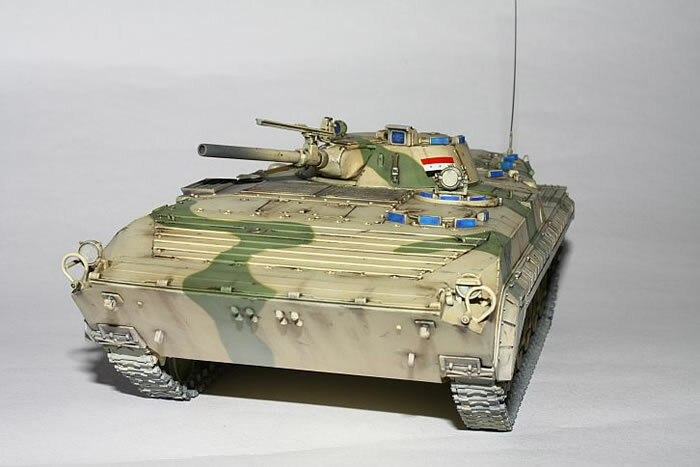 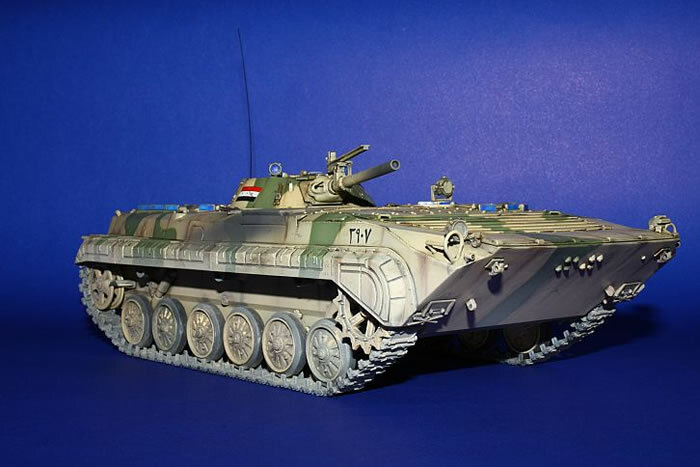 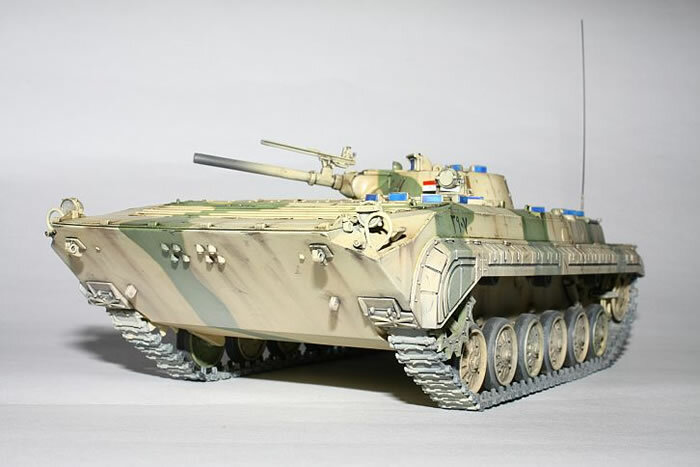 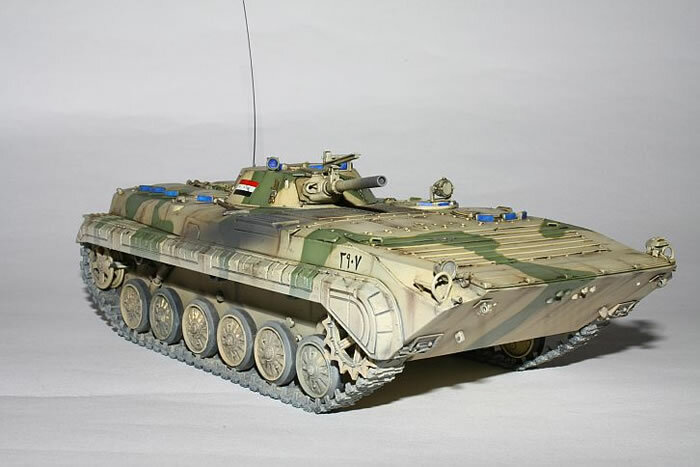 Thus is the BMP-1 built straight from the box from Zvezda ( Dragon sprues ) kit in 1:35 scale. 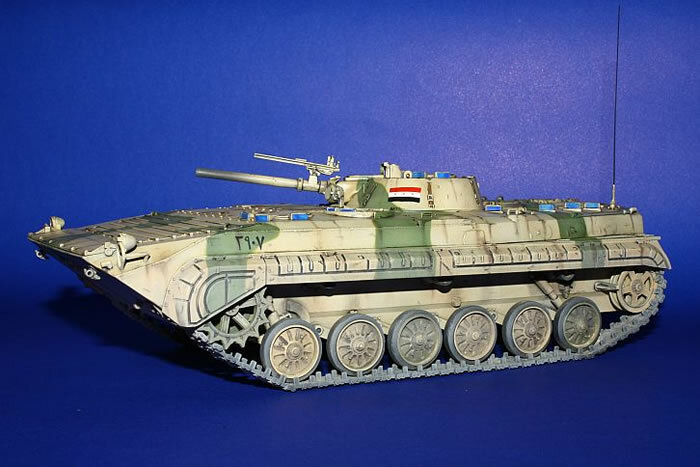 Markings are for the Iraqi Army, somwhere on the road to Iranian border.